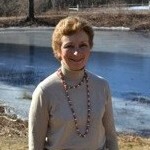 Sharon McCarthy, PhD, is General Manager of McCarthy & Smith Consulting. Her areas of expertise include indoor air quality, human health risk assessment, and statistics. Dr. McCarthy has been conducting risk assessments, both deterministic and probabilistic, for more than a decade. Areas of expertise include exposure assessment modeling, probabilistic risk assessment, multivariate statistical analysis and indoor air quality – modeling and monitoring. She has performed risk assessments for hazardous waste sites, accidental releases of industrial chemicals, and incinerators. She acts as senior reviewer of risk assessments performed by other staff. She has developed modeling approaches to estimate exposure to non-traditional sources, such as window sills (for exposure to PCBs in window caulking) and outdoor decks and playsets. For a Department of Defense contract, Dr. McCarthy designed and conducted data analysis to quantify uncertainty in laboratory quality control samples for over 250 analytes from numerous laboratories.Dr. McCarthy is known for strong project management, organizational, and communication skill. She is recognized as a creative problem solver who is highly responsive to clients. She is the author of numerous papers and also co-author of the book Measuring Indoor Air Quality: A Practical Guide, published by John Wiley. Dr. McCarthy received her Ph.D. from the University of California, Irvine in environmental analysis. She holds Master of Science degrees from the Harvard School of Public Health and Rutgers University.